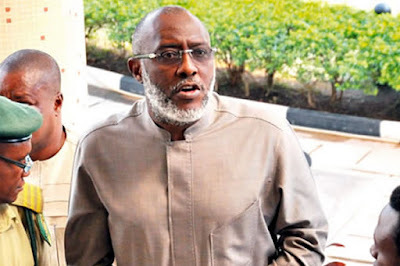 The 5th defence witness in the ongoing trial of the embattled former National Publicity Secretary of the Peoples Democratic Party, PDP, Chief Olisa Metuh, Mr. Richard Ihediwa, has told the court how the former spokesman of the PDP used his personal money to fund publicity for the party. Ihediwa, who made the disclosure while responding to questions from Metuh’s counsel, Emeka Etiaba, SAN, stated that the financial capacity of the party regarding publicity was so bad that the party could not hire enough hands to drive its publicity. At the resumed trial before Justice Okon Abang of the Federal High Court sitting in Abuja on Thursday, the witness said: “Metuh was forced to engage more hands to work in the Media Situation Department of the party because the office became more demanding”, adding that he was paying them with his personal funds. Ihediwa stated that things were so bad that the party could not even pay for advertorials it placed in the media. He further narrated how he and Metuh worked tirelessly to ensure that they got the right information which in turn they presented to the government to assist them in making informed decisions on issues relating to the public.